It's already shaping up to be an awesome Grammy Awards! The Dear Evan Hansen cast recording took home the 2018 Grammy for Best Musical Theater Album on January 28. The album beat out recordings of the Broadway production of Hello, Dolly! and Come From Away. As previously announced, Tony-winning original headliner Ben Platt will perform at the Madison Square Garden ceremony later this evening. Tony winner James Corden is hosting music's biggest night. The win for Dear Evan Hansen is shared by Platt as well as stars Laura Dreyfuss, Mike Faist, Rachel Bay Jones, Kristolyn Lloyd, Michael Park, Will Roland and Jennifer Laura Thompson, Pete Ganbarg, Lacamoire, producer Stacey Mindich and songwriters Benj Pasek and Justin Paul. (When nominations were announced, only Platt was listed as a vocalist nominee.) This marks music duo Pasek and Paul's first Grammy Award. 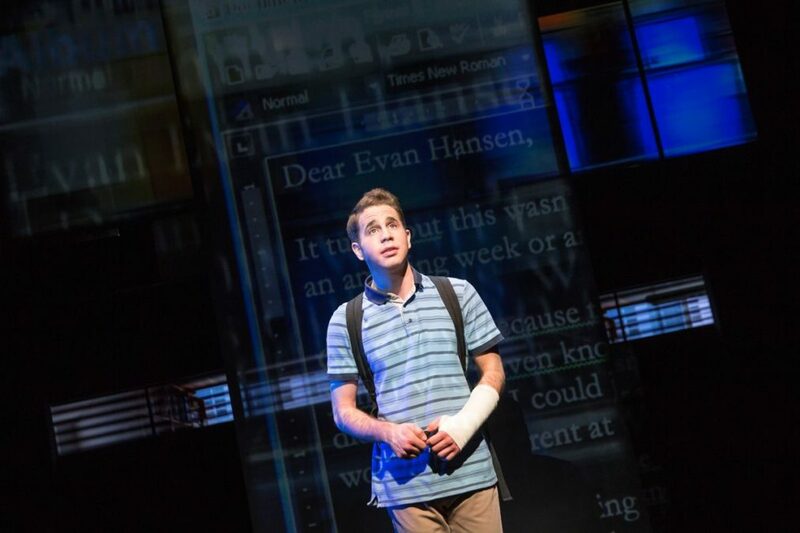 The Dear Evan Hansen cast heard the news at the end of their Sunday matinee. Check out the adorable reaction video on Twitter. Platt posted a snippet of musical orchestrator Alex Lacamoire taking the podium as well. Speaking of music man Lacamoire, his Hamilton pal Lin-Manuel Miranda also grabbed a 2018 Grammy. Miranda received the award for Best Song Written For Visual Media for "How Far I'll Go" from Disney's Moana.